Cindy L. Robinson works on all types of personal injury cases, including claims of medical malpractice, wrongful death, and the sexual abuse of children. She received her B.A. from Wesleyan University and her J.D. from the University of Connecticut School of Law. In 1992, Ms. Robinson was appointed by the judiciary to the Standing Committee on Recommendations for Admission to the Bar in Fairfield County and served as chairperson of the committee from 1994 through 2002. 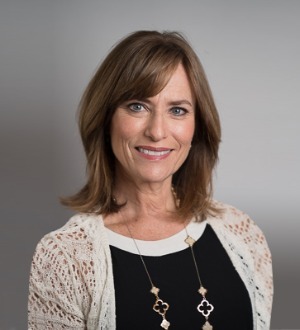 She is a member of the Board of Governors of the Connecticut Trial Lawyers Association and a member of its Continuing Legal Education Committee and Co-Chairperson of the Nominating Committee. Ms. Robinson is recognized by The Best Lawyers in America® in the field of personal injury law and she is certified as a Civil Trial Advocate by the National Board of Trial Advocacy. The American Board of Trial Advocates has selected Ms. Robinson into its membership and in 2009, she became a Fellow of the American College of Trial Lawyers, one of the premier legal associations in America. In 2014, Ms. Robinson was honored to become the first woman in Connecticut to be named a Fellow of the International Academy of Trial Lawyers, which limits membership to 500 Fellows from the U.S. In 2003, Ms. Robinson was one of ten attorneys nationwide to be named "Lawyer of the Year" by Lawyers Weekly as a result of her successful representation of clergy abuse victims. Ms. Robinson has been named the Best Lawyers' 2011 and 2012 Stamford Area Personal Injury Litigator of the Year and the Best Lawyers' 2014 Stamford Area Lawyer of the Year for plaintiffs' medical malpractice. She has also been designated as one of the top 25 female attorneys in the state by Connecticut Super Lawyers®.